This was BHADS first production of Aladdin, repeated in January 2015. After ‘Cinderella’ the pantomime of ‘Aladdin’ is the second most popular in the country. The story originates in the ‘Tales of the Arabian Nights’, and the pantomime version is set in China. The recent Disney film of ‘Aladdin’ has caused some confusion to young audiences, as the action is set in ancient Arabia, and the villain of the piece is called ‘Jaffar’. The pantomime version predates the film by almost two hundred years. The first recorded performance of ‘Aladdin’ was in 1788, at the Theatre Royal, Covent Garden. In the Arabian Nights the villain was not named, but the 1813 production of the pantomime called him ‘Abanazar’, by which he is still known today. The Pantomime tells the story of Aladdin, son of a poor widow in Peking. Originally she was called ‘Widow Ching Mustapha’, and the part was first played by a man, James Rogers, in 1856. During the 1850’s, Victorian London was the destination for the first clipper ships that supplied tea to the London tea houses. The fastest ship gained the largest bonus, and at the time the ‘Cutty Sark’, now on view in Greenwich, was the holder of that title. There was a fascination for the Chinese style in architecture, fashion and entertainment. In the Pantomime version of 1861 the name of Aladdin’s mother became ‘Widow Twankey’. Twankey was a popular tea at this time, from the Tuon Ky region of China. Another character in this version is called ‘Pekoe’. Since the 1860’s the Widow Twankey, as she is now known, has become a laundress, allowing scope for slap-stick scenes in the Laundry, along with her other son ‘Wishee Washee’. The increase in Chinese laundries in London’s East End, and in Liverpool led to these comedy scenes. The magical part of Aladdin comes from the Slave of the Ring, and the Genie of the Lamp. 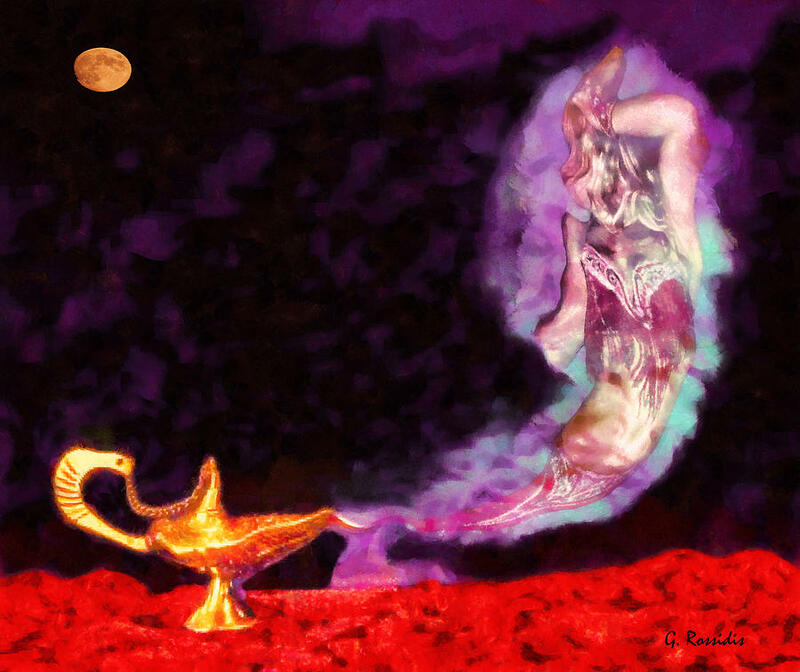 The original Genie gave three wishes, but in the pantomime Aladdin is free to use his newly found powers for as long as he holds the lamp.